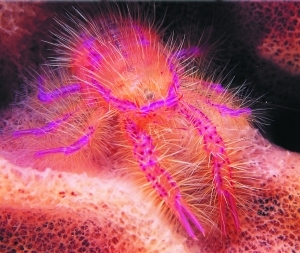 Very little is known about the fairy crab, Lauriea siagiani (actually it’s a squat lobster). It was first described about eight years ago, discovered three years earlier in Bali, Indonesia. This fascinating creature appears to live only on the giant barrel sponge, along with some other tiny crabs of a different species. 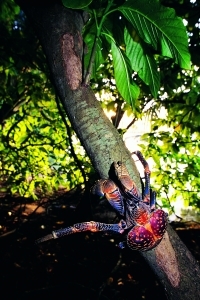 The Robber (or Coconut) Crab, Birgus latro, is not only the world’s largest land invertebrate, it’s also a thief that climbs trees at night and steals coconuts! These huge crustaceans of the south-west Pacific and Indian Oceans, can grow to a length of 60 cm (2 ft), from head to tail. They sneak out of their burrows at night, climb the trunks of coconut palms or other fruit trees, and snip off the coconut or fruit with their two giant pincers. They climb back down the tree and gather up the food, then use the pincers to chip at the coconut until it opens. Some of the most fascinating instances of design are seen in symbiotic (‘living together’) relationships between different species, such as that which exists between goby fish and shrimp. They live together in a hole which is dug and maintained by the blind shrimp. 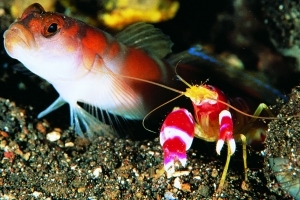 The shrimp continuously keeps the entrance to the hole clear of debris by using its front claws in a bulldozer-like fashion, trusting the goby to keep guard at the entrance. Among the world’s smallest crustaceans are tiny creatures called water fleas (so named because they look much like those insects). The best known are of the genus Daphnia. 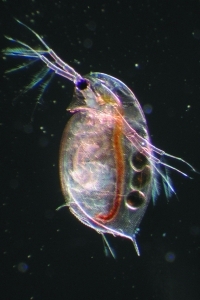 Shown here is a Daphnia longispina. The shrimp always keeps one feeler (antenna) on the fish. If danger approaches in the form of a hungry predator, the goby signals the shrimp with a flick of its tail, and both scurry down the hole at lightning speed until the coast is clear. Evolution has great difficulty explaining how such a partnership came about. This type of simultaneous programming points to creation. 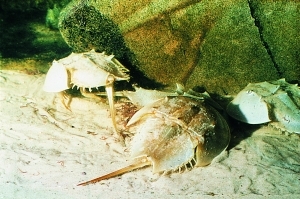 The Horseshoe Crab is not a ‘true crab’ (it’s not a crustacean), but is rather another type of arthropod grouped with scorpions, spiders, and extinct trilobites. Here we have another example of what evolutionists term a ‘living fossil’. Fossil representatives almost identical to the modern-day Horseshoe Crabs date back to the Jurassic period (which supposedly started 190 million years ago).3 Again we see the claimed passage of vast amounts of time but without a hint of any evolutionary changes having taken place. 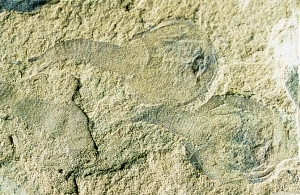 The tadpole shrimp (Triops canciformis), said to have lived 250 million to 65 million years ago, is still in existence today (the same species) completely unevolved. 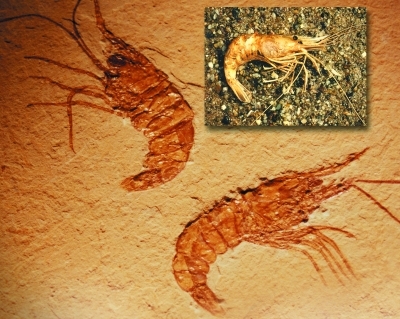 As these photos show, a prawn fossil (genus Penaus) claimed to be 150 million years old and a live prawn (Antrimpos) are virtually identical. 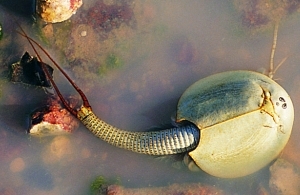 Many crustacean species are said to be ‘living fossils’ because they haven’t changed over a timespan that evolutionists allege has been millions of years. A more logical explanation is that there has been no evolution, and the vast time span is illusory. Doolan, R., The robber crab, Creation 15(1):44–45, 1992. Return to text. Doolan, R., Helpful animals, Creation 17(3):10–14, 1995. Return to text. New Encyclopaedia Britannica 6:72, 1992. Return to text. The freeze-dried powder, known as Limulus Amebocyte Lysate is considered the most effective substance for this process. Return to text. Blood of the Crab, Journal Now, journalnow.com/news/local/features/health/horsehoe.htm, 29 September 2000. Return to text. 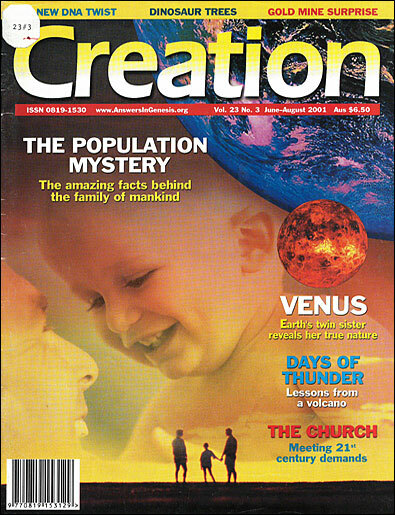 Scheven, J. and Wieland C., Ghostly shrimp challenges evolution, Creation 16(3):51, 1994. Return to text. Scheven, J., Living fossils, Creation 16(2):6, 1994. Return to text.